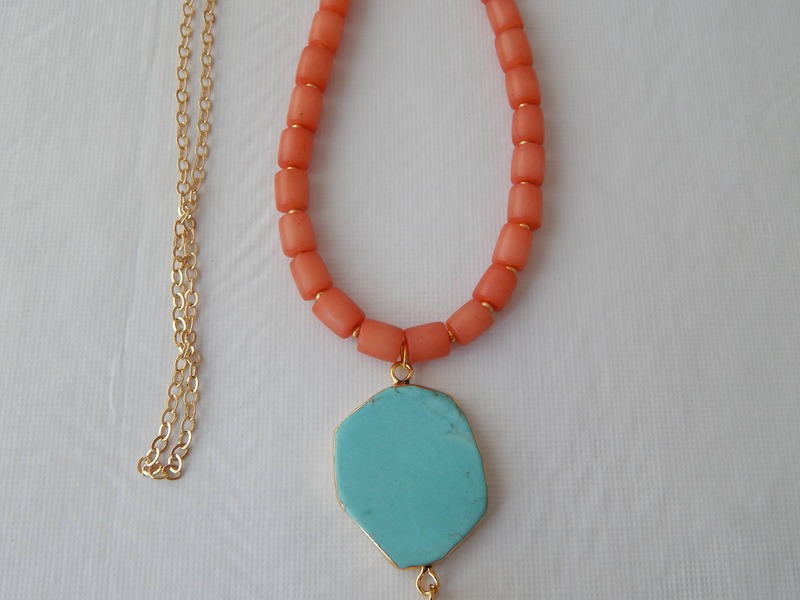 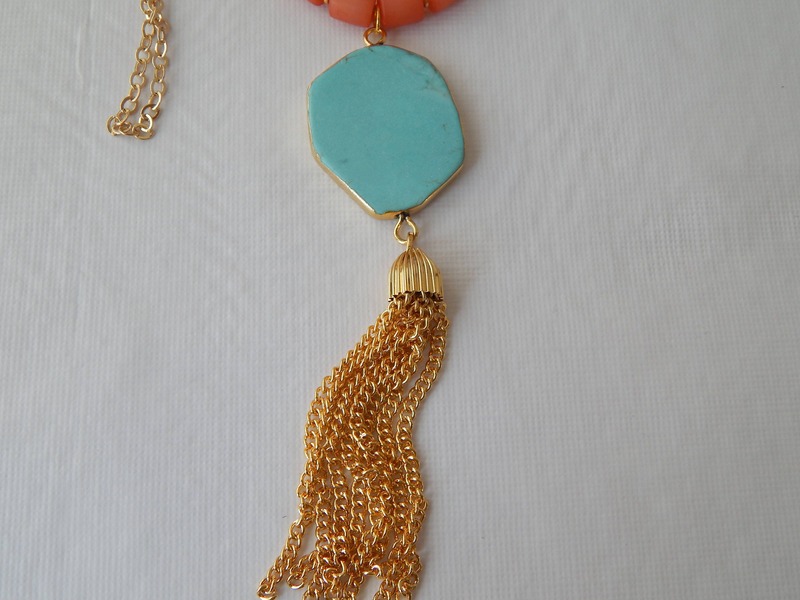 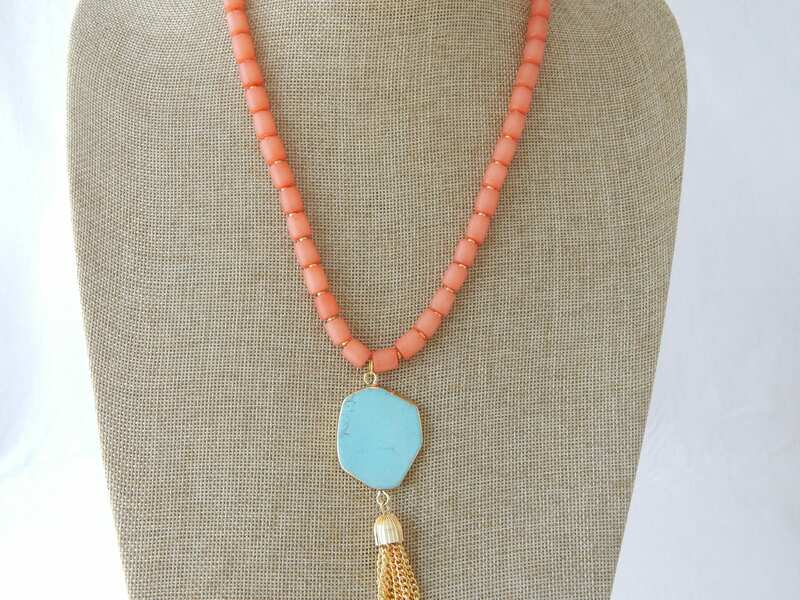 Coral colored buri beads hold a turquoise connector with a gold tassel lending this necklace its southwest beachy vibe. 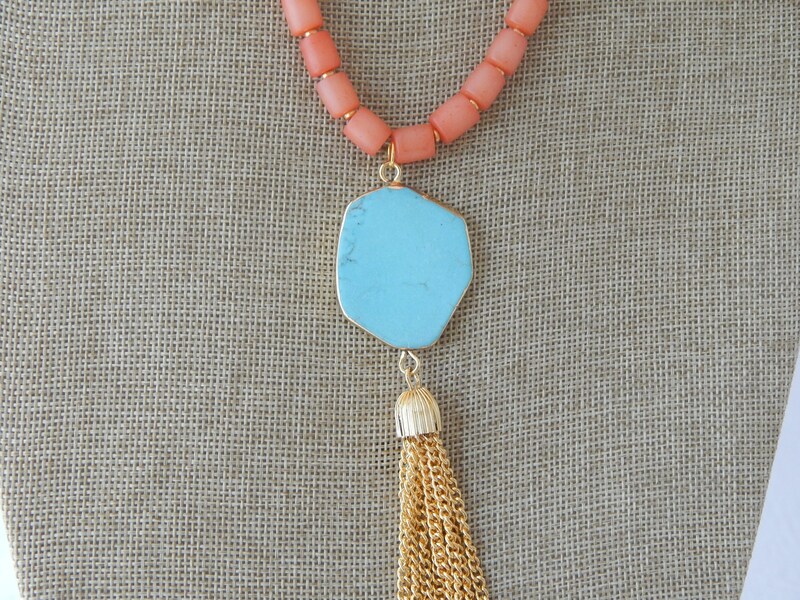 Neutral colors will go with anything and easily layers with others in my shop. 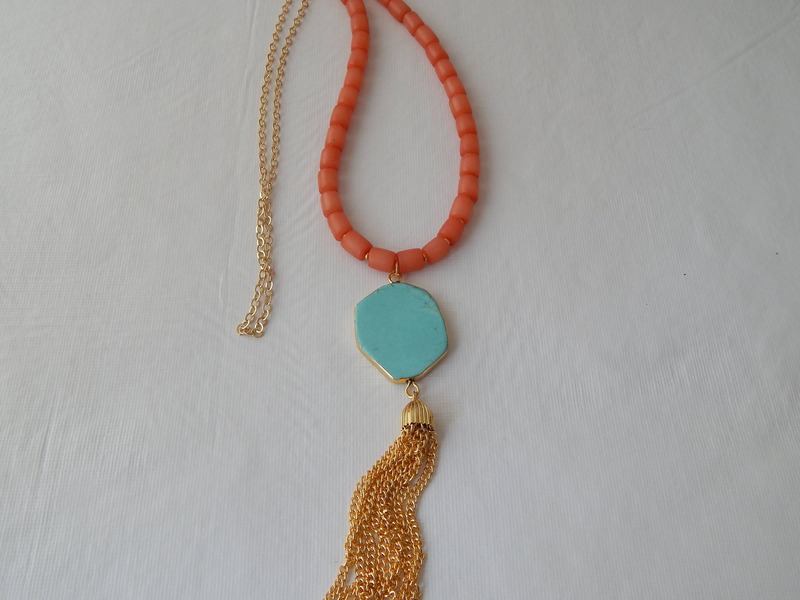 Necklace measures 32 inches long and is finished with an 18kt gold plated chain. 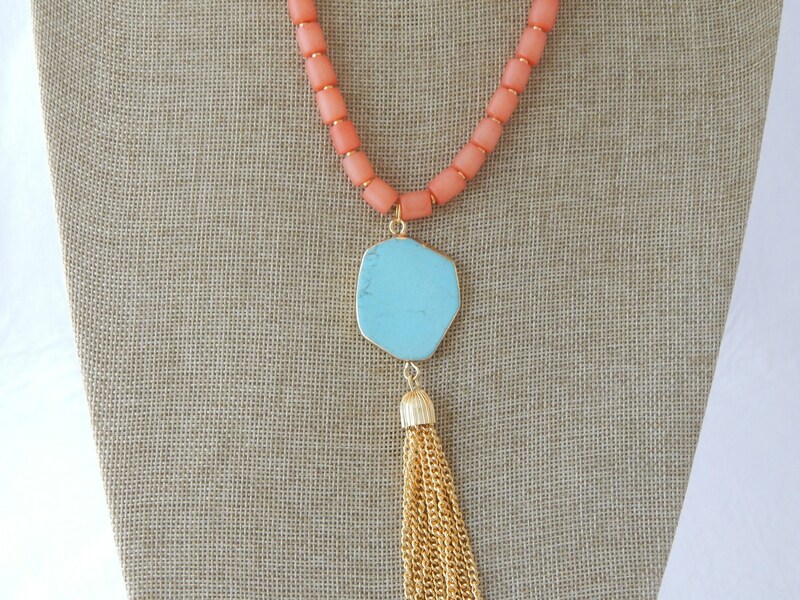 Length of turquoise and the tassel are 4.5 inches.